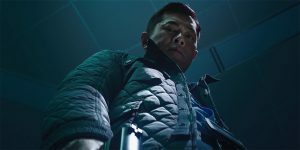 A stylish and moody piece from one of the masters of style and mood, ‘PTU’ is a dark journey into the equally dark heart of Hong Kong where the cops are almost as corrupt as the criminals. ‘Sparrow’ is the archetypal Curate’s Egg, a film that fuses together precious few moments of brilliance with a heavy dose of lethargy, rendering the finished article difficult to digest. The slightly uncomfortable storyline which casts Hui as a potentially cheating husband is turned gradually into another morality comedy with Hui and his initially unpleasant wife learning the error of their ways. 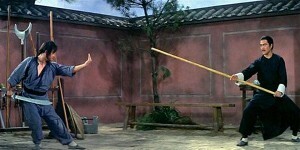 There is no arguing that it is an entrancingly shot piece of work with some typically eye-catching Yuen Woo-Ping action choreography. ‘Three’ could be the least involving, least exciting action thriller in recent memory. That it has Johnnie To behind it is a particularly sad thing to report.